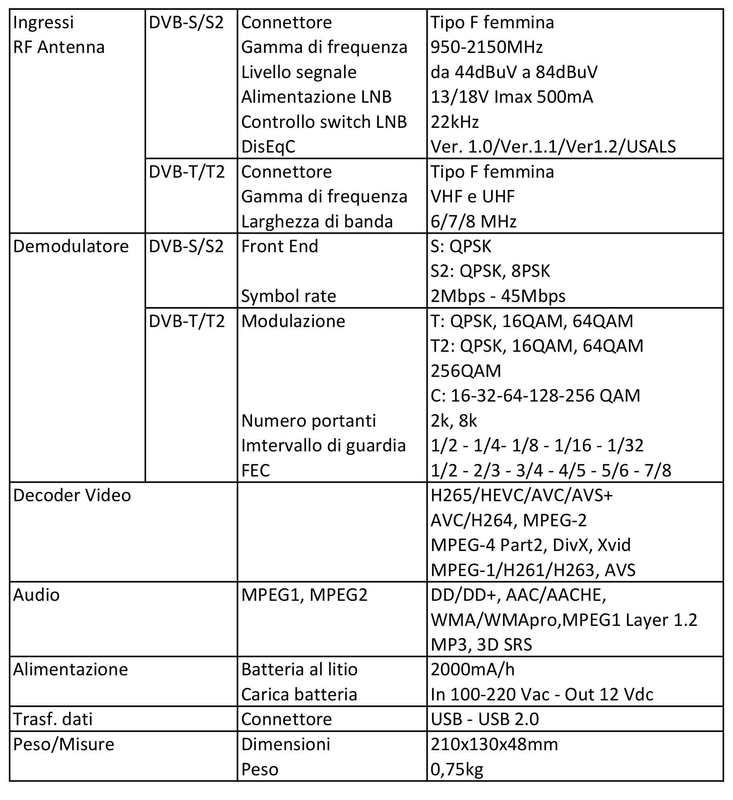 ATTENZIONE: L'UNICO NEL SUO GENERE CHE VI PERMETTERÀ DI SINTONIZZARE E VEDERE I CANALI IN DVB/T2, GRAZIE AI PROTOCOLLI "H265" ED "HEVC" CHE HA A BORDO... GLI ALTRI APPARECCHI SIMILI POTRANNO SOLO MISURARE I SEGNALI, SENZA POTER SINTONIZZARE E VEDERE I CANALI! DIFFIDATE DAL SOLO LOGO DVB/T2 !! !